Whether you're in need of a brand-new fence, upgrading or replacing an existing one, or in need of repairs, Handyman Matters is your one stop shop. No matter the type of fence you have now or what you are looking for, we have years of experience and our professional Craftsmen design and build fences that look great and serve a valuable purpose. Today, fencing adds decoration to property, provides safety to those wishing to be fenced in, or have others fenced out! Quality fence and gate repair will keep your home and yard looking beautiful. Call today for all your fence needs! Damage to your fence can happen from a variety of causes, such as high winds, wood rot or regular wear and tear. Our expert handymen are equipped to handle any fence repair job. Don't let a damaged fence linger unrepaired. Not only is it unsightly, but it can also be dangerous! Our Craftsmen also offer entire fence installations. Give your yard a makeover with a new fence and create a whole new look that will be the envy of the neighborhood! Call today your fence installation and repair projects. With regular maintenance, a good fence can last a lifetime. 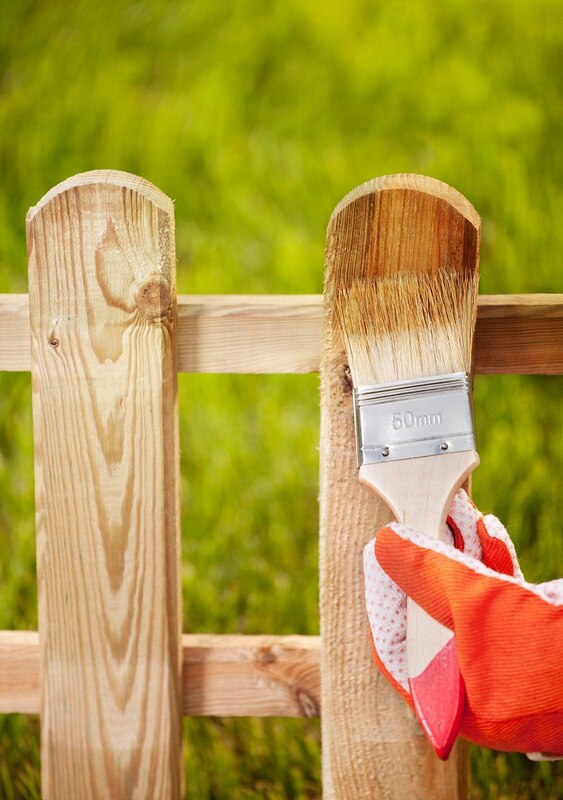 Maintain your investment by calling Handyman Matters to paint, stain, seal, or power wash your fence. Fence Sealing and Water-Proofing to add longevity to your fence. Stain a fence for protection or to match existing décor and designs. Paint your fence when its time to change it up a bit to hide discolorations. Let us handle your fence sealing and staining needs! Call today. Weather, wind, animals and blowing dirt, mud and debris can wreak havoc on your fence and gate. Power washing or pressure washing your fence to clean and remove all of that built-up material is an easy way to make them look like new. Power Wash Fence to clean and bring life back to your fence, home and yard. We have the tools to take on this job and clean your fence today! A damaged gate can not only look bad aesthetically, if left in a broken state it can allow your children or pets to get out on the loose. Our professionals are ready to handle any gate repair job to make sure this doesn't happen. Handyman Matters can also conduct entire new gate installations as well.